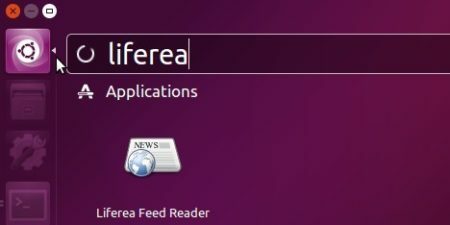 The Liferea feed reader reached the 1.12.3 release earlier today with various bug fixes. 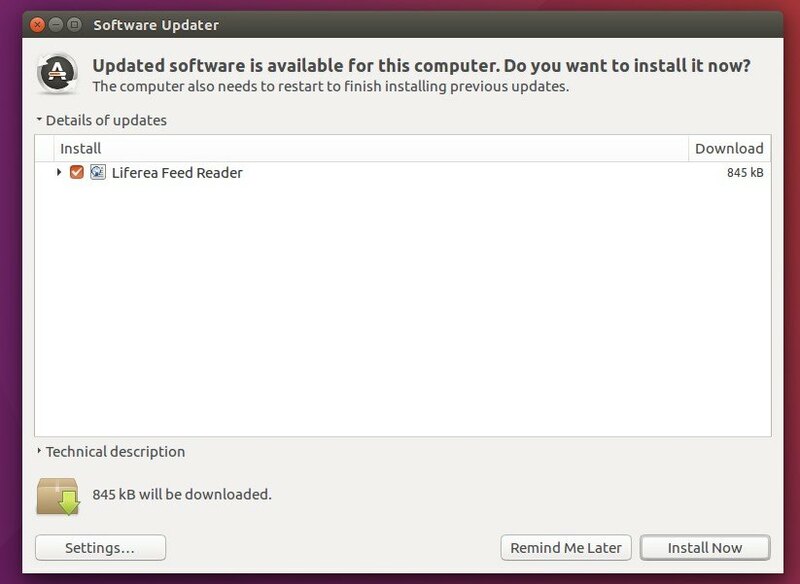 Here’s how to install it in Ubuntu 18.04, Ubuntu 17.10, Ubuntu 16.04. Item list view column order rework as a preparation for possible real column drag&drop. Introduces a new DConf setting for the column order. 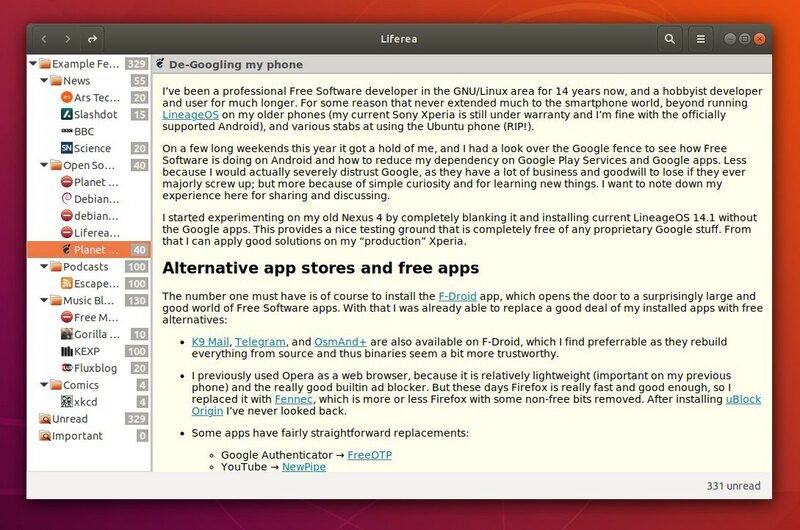 For Ubuntu 16.04, Ubuntu 17.10, Ubuntu 18.04, and derivatives, the new release is available in a third-party PPA repository. Type your password (no visual feedback while typing) when it asks and hit Enter. 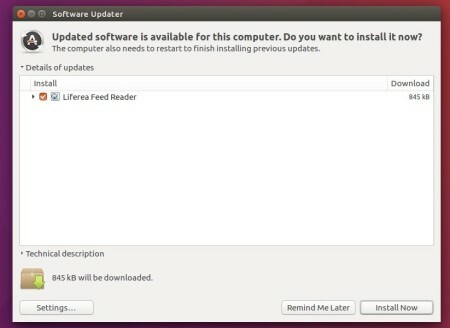 To remove the PPA repository, open “Software & Updates” utility and navigate to Other Software tab. 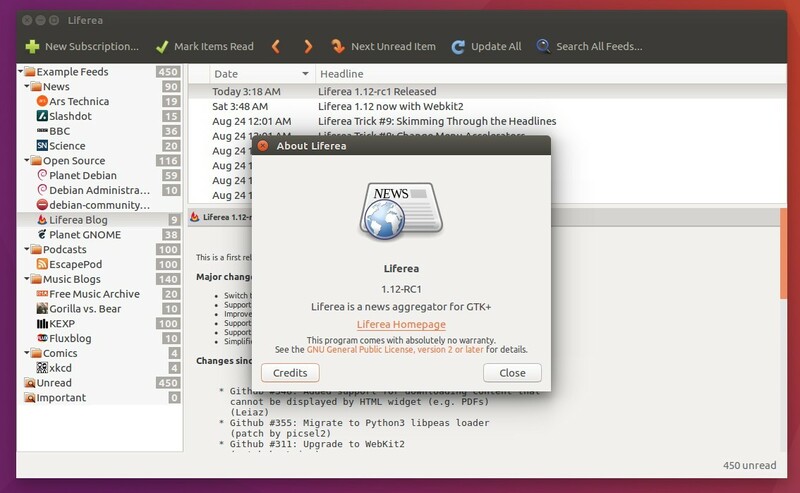 A new bug-fix release for Liferea 1.12 was released earlier today. A plugin installer plugin was introduced that allows easy discovery and installation of 3rd party plugins. New command line option --disable-plugins (-p) to start with all plugins disabled. 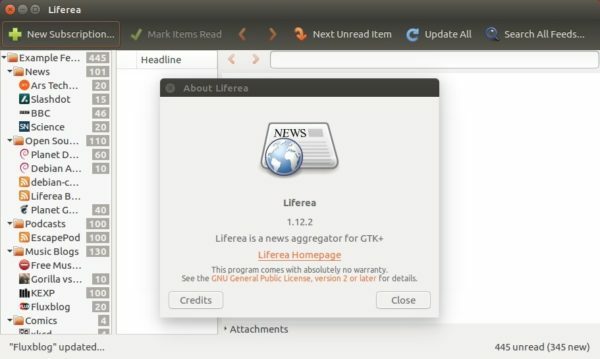 The open-source Liferea feed reader finally reached the new stable 1.12.0 release after months of development. 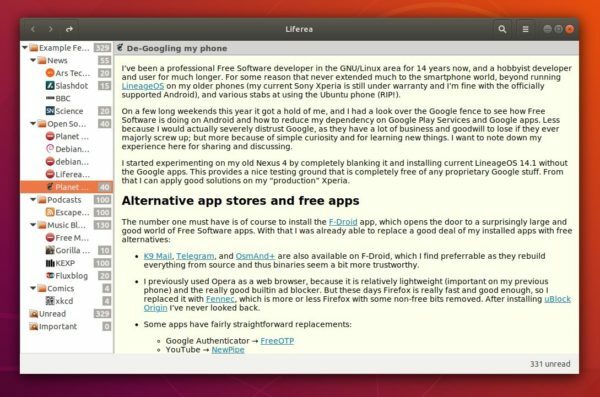 Here’s how to install it in Ubuntu 16.04, Ubuntu 17.04, Ubuntu 17.10, Ubuntu 18.04. Upgrade to WebKit2: This is an important security improvement! 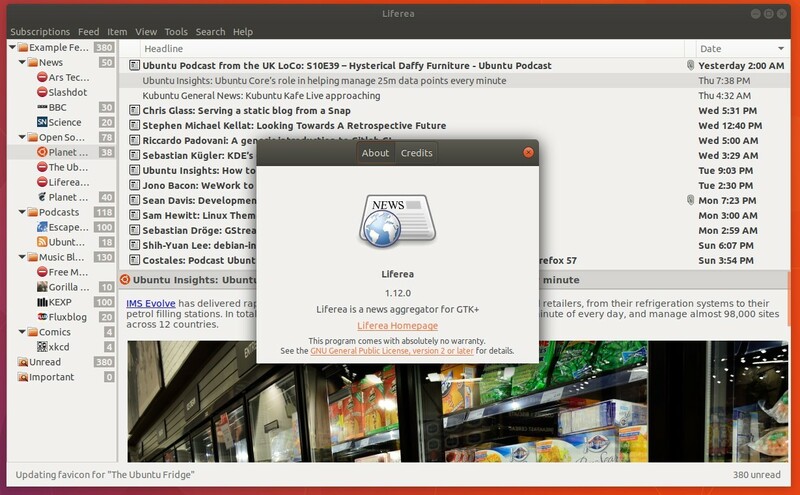 For Ubuntu 16.04 and higher, you can easily install the new release from this PPA repository. 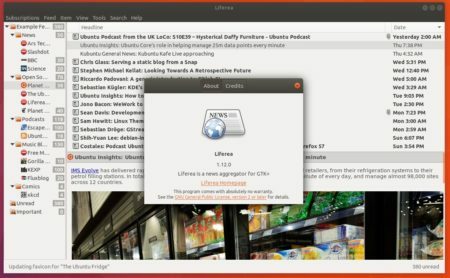 The first release candidate for the new stable Liferea 1.12 (Linux Feed Reader) has been released. The new series of the open-source news aggregator now switches to WebKit2. In addition, the RC release adds support for downloading content that cannot be displayed by HTML widget (e.g., PDFs), shows new items count in tray icon and minimize to system tray (Gnome Classic) on window close, there are also some bug fixes and translation updates. Type in password (no visual feedback, so just type in mind and hit Enter) when it asks and hit Enter.